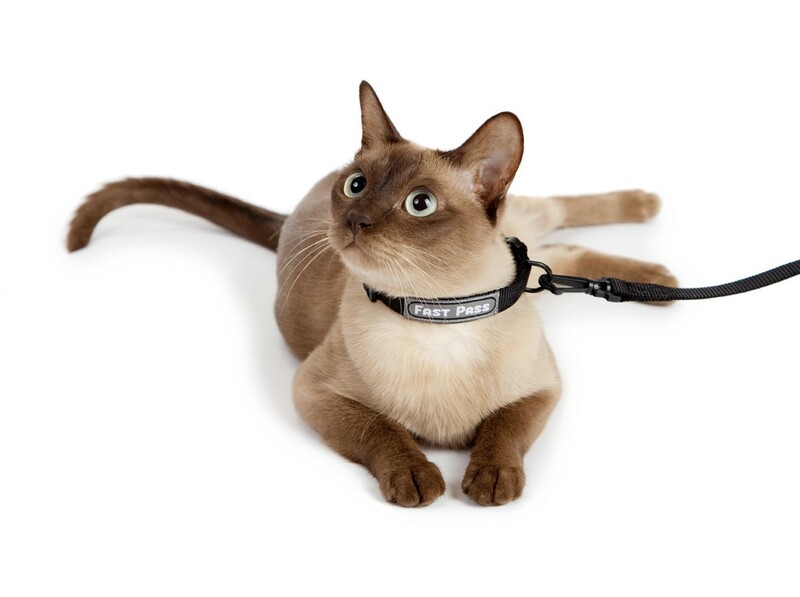 Take the hassle out of In-Cabin Pet Travel and you and your pet can FLY through Security Check Points in a Single Bound with our NEW TSA Fast Pass Leash, Collar and ID Tags. Our Fast Pass Collar & Leash Guaranteed to not set off metal detectors, making pat downs and private screening rooms unnecessary. Available in Black. TSA screenings are becoming more and more invasive making pet travel a real hassle. The inspection process consist of removing your pet dog or cat from their soft carrier bag and walking them through the metal detectors, while the carrier goes through the x-ray machine. 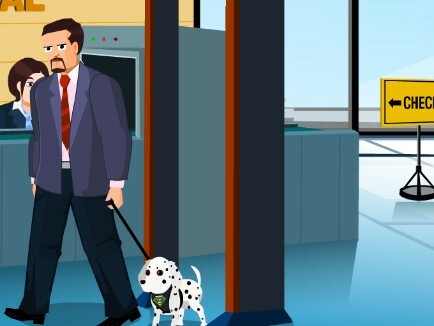 Current laws and TSA official require your pet to be on a leash and harness or collar which often sets off the metal detectors causing traveling pet owners to be subjected to an even more invasive screening process. This can mean pat downs, hand wands or private screening rooms. Get the TSA Fast Pass® Leash & Collar and your pet will make it through the TSA inspection in a single bound, making pet airline travel hassle free. I used the collar and leash to get through TSA easily. This was my first time traveling with my pug. We walked through the metal detector with no problem and were quickly on the way to our plane. Excellent products! Just what we needed to go through security at the airport. No metal components. The collar and leash arrived quickly and fit well. I am glad I found a no-metal alternative for airline travel. However, I would have liked a sturdier design. I am pretty sure the leash clip would not withstand a medium tug from my 16lbs dog, let alone a full "oh look, over there!!!" I will still use it, but only to go through security, and hope there is nothing too interesting or scary going on at that time. I was moving my cats to NYC having already driven with my dogs from SF, I was concerned about one of the cats that is very shy and she might be inclined to run away, having the collar and leash on and going through the metal detector made it very easy and gave me peace of mind that even if she managed to get away from my arms she won't get far. When I received my dog harness, I was disappointed that it was the wrong size. I emailed Dry Fur over the weekend and was surprised to immediately get a response. A new dog harness appeared 3 days later. Great customer support for an equally great product! It was easy to put on and off when customs required to take out one by one the dogs out of the crates to make check for explosives. I travel a lot and wondered why I could not find a leash collar and id tag with no metal it seems like a no brain-er... This will come in handy I travel with my dog monthly for his work, now I can just lead him right through the metal detectors. Thanks DryFur!